Today’s blog is about hiring and working with a recruiter to fill your marketing and sales positions. 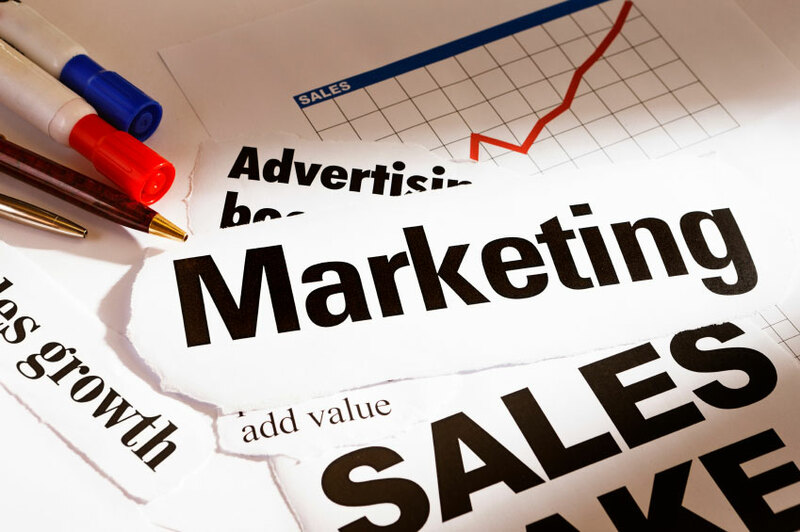 Every organization has marketing and sales as a critical function of their business operations. Having talented marketing and sales professionals is critical to your company’s growth and success. The better your marketing and sales staff, the more successful your company will be. One major challenge a lot of companies come across is how to attract and retain the best marketing and sales talent. The best marketing and sales people are highly sought after and are often courted by multiple companies. It’s important to have a unique, effective and aggressive strategy in order to attract and get these people on board your team. Long gone are the days where you can post a job in the classifieds and get people calling. Job boards like Monster and CareerBuilder are mostly ineffective and are likely going to give you more work. You will spend hours sifting through unqualified resumes and candidates in order to find maybe one person worth interviewing. The truth is that the top talent in the marketplace is not out aggressively looking for a job. 98% of the candidates we place with our clients are not actively and aggressively looking for a position. This is what’s known as the passive talent market. An effective talent acquisition strategy must include an effective pathway into speaking to, attracting and nailing down passive talent. You must find a way to get to the people that are never going to hear about your company unless you proactively reach out to them. This can be especially challenging with marketing and sales folks. These people tend to be extremely busy, bouncing from project to project with limited time to be applying for jobs, interviewing, etc. Marketing and sales roles can become more and more nuanced, niched and challenging to fill. You may require certain specialties, experience, technical capabilities, relationships and may even need to be within a certain geography. As you add more and more specialized requirements to your position, you are narrowing down the talent pool further and further. This is where working with a recruiter like us can make a difference. And when I say a “recruiter like us” I mean a headhunting firm to aggressively go after the best talent in the market. A firm that will sell the opportunity of your company and the position to the candidates. This is very different from a recruiting firm that will send you whatever resumes they have on their desk. That is similar to the results you would get by using a job board. A true headhunting firm is going to put in the volume and massage their network and the market. They will be able to drum up the people that you want, particularly people from your competition. It’s important to work with the recruiter that has significant experience working within the niche you need. Marketing has become very nuanced and there’s a lot of different ways and types of marketing. Take into account your industry, your vertical, your expertise and your products or services. Find a recruiter who is going to be able to understand the nuances of marketing and sales. You need them to understand your business and the different facets of marketing that you’re going to need. Every company needs different strengths or skills depending on different facets of their marketing mix. You want the recruiter who is able to hone in on the correct niche and the correct type of market for your business. If you hired a firm that works mostly with technical people, you’d likely get resumes out of left field which would not do you any good. In fact, it would likely just give you extra work and make your life more difficult. When looking for an outside recruiter to work with it’s important to find someone who specializes in marketing and sales. They will know what questions to ask you and the candidates to make the right match for the skill set that you need to fill your open roles. This can be particularly and increasingly true and important if you are some type of agency. Whether that be a digital marketing, advertising, media, public relations firm or something similar. There is a unique nature to working with agencies and agency talent. As an agency, you want the recruiter you hire to know what it takes to recruit agency talent and to understand the agency world. They will be much more suited to get you the right candidates than someone who doesn’t understand the agency world. As a talent acquisition or hiring manager the last thing you need is teach someone something as well. So you don’t want to hire a recruiting firm that you have to teach too much about your type of business. You want to hire a recruiting firm who already understands your type of business. You want them already asking the right questions to understand your role, your culture and your company in order to find you the right talent. If you’re looking to hire top marketing and sales talent for your organization it’s critical that you have an aggressive and proactive recruiting strategy. Sometimes this can be accomplished by having your own in-house recruiting teams. However if you have a lot of open positions it’s likely your team will easily get overloaded. There’s a high chance you’ll need to bring in an external recruiter to provide the actual recruiting volume needed to fill your critical roles. With marketing and sales, it’s important to work with a recruiting firm that specializes in that aspect of your business. Find a recruiter that pertains to your business. Whether they specialize in marketing and sales, technical positions, finance and accounting or legal. The point is to make sure that the recruiting vendors you work with are focused and specialize in the specific areas that you need. Be wary of any recruiting firm that says we do it all. Nobody does it all and at least nobody does it all well! Take these simple tips to create an effective and aggressive planning strategy to hire and retain the best talent in the market.